As the first European hospital, the Antwerp University Hospital achieved Magnet recognition in 2017. In November 2017, UZA gained Magnet® recognition. 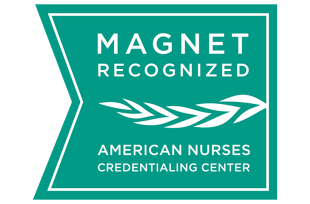 Awarded by the American Nurses Credentialing Center (ANCC), Magnet is the highest form of recognition for nursing care worldwide. 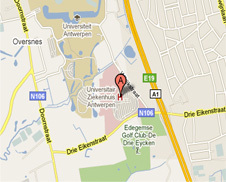 The Antwerp University Hospital (UZA) is Europe’s first hospital to gain Magnet® recognition. Magnet is the highest form of recognition for nursing care worldwide. To achieve it, a hospital must work to achieve demonstrable and continuous improvement in patient outcomes – measured by criteria such as pressure ulcers and fall prevention –, new knowledge and innovation and excellent professional practice. Being Magnet-recognised also means that a hospital is able to attract and retain nurses. Nursing is still a profession characterised by shortages. In September 2017, the Flemish public employment service counted 1,261 unfilled vacancies for nurses in Flanders. The retirement of the baby boomers will present an additional challenge in the years ahead. Meanwhile, both the demand for care and the complexity of care needs in our society are increasing all the time. To meet this growing need, the government is making systematic efforts to increase the attractiveness of the care professions (for example with its campaign www.ikgaervoor.be). UZA is also investing in the nurse’s role within the hospital. “Magnet is a mindset: we focus consistently on helping our nurses develop into strong, autonomous caregivers who contribute to our culture of continuous improvement and innovate within a flat organisational structure. We must make it possible for them to work on a data-driven basis and in line with the latest international scientific insights. The Magnet programme offers an organisation and its care providers a rigorous framework for improving care processes, job satisfaction and patient outcomes,” says Johnny Van der Straeten, chief executive, UZA. Minister of Health Maggie De Block: "The patient is also one of the winners here. Care providers who work together around the patient and who continually measure care against international standards increase the quality of that care and of patient safety." "Nurses are the largest professional group in a hospital. The quality of care is largely determined by them: they ensure continuity in care, and their clinical understanding is of vital importance for providing safe and compassionate patient care. A strong focus on continuous training for nurses, evidence-based nursing practice and strong multidisciplinary collaboration are all vital here. The recognition of UZA as a Magnet hospital is a fitting reward for our achievements,” says Lon Holtzer, Flemish Care Ambassador. Magnet recognition for hospital nursing originated in the US in 1990. The motive was the need to focus on attracting and retaining nursing talent, as there was a serious shortage of nurses in the US, just as there is here. The idea was to draw on scientific evidence to establish how care institutions could develop a working environment that would lead to the nursing profession being valued more highly. Magnet recognition has since become an internationally renowned development programme, which takes several years to complete. What makes nurses want to work in a care institution? Nurses are motivated by joining the organisation, colleagues, patients and their families in building an explicit culture of improvement in which innovation, leadership, autonomy and development are key. They are keen to do this for the sake of their own professional development, but also from the awareness that it produces better outcomes in patient care,” according to Paul Van Aken, director of patient care at UZA. UZA gained the international quality label of Joint Commission International in 2015, which contributes to the development of a hospital-wide quality policy. This, together with the lean culture at UZA and the Magnet programme, has led to a strong culture of continuous improvement emerging among UZA staff in recent years. The prevalence of such an improvement culture at UZA had to be demonstrated for the Magnet Recognition Program on the basis of systematic results in patient care and staff satisfaction. For two years, statistics were kept on the prevalence of problems such as pressure ulcers, fall incidents, bladder infections and blood poisoning in patients. UZA was able to prove that the level of such problems was well below the international average at comparable hospitals. Evidence-based practice: care is based on scientific evidence, and good practices are pursued together with patients and their loved ones. One concrete example is the introduction of the Enhanced Recovery After Surgery programme (ERAS). This interdisciplinary programme of some 20 specific care measures has been introduced for patients who have undergone intestinal surgery. For instance, it ensures that patients start moving around again sooner after the operation, and their diet has also been adjusted on the basis of evidence. Together, these guidelines have ensured that patients recover considerably faster. The period during which patients have to stay in bed has been halved to 3 to 4 days instead of 7 to 8 days. UZA is currently engaged in rolling out this programme across the various nursing departments. Measurability and transparency of care: both patient experience and objective outcomes guide the care process. One specific example of improvement in care processes that has yielded measurable results is the effort to reduce the incidence of bedsores or pressure ulcers. At UZA, pressure ulcers occur in 1.82 per cent of hospitalised patients in the nursing wards; the international benchmark is 2.28 per cent and the Belgian average is 5.1 per cent. Integrated patient-centred care and an interdisciplinary care model: this includes interdisciplinary rounds in nursing departments and the bedside briefing. The latter is a practice in which the transfer of information about the patient in the nursing ward between different shifts no longer takes place in a separate room, but at the bedside and in interaction with the patient. The nurses look at the clinical parameters and how the patient's day has gone. The patient is actively asked if he or she has understood everything or would like to ask or add anything. As a final part of the process, UZA was visited by three evaluators from the American Nurses Credentialing Center (ANCC). They came to verify whether the statements in the submitted documentation matched the reality, based on conversations with care providers and visits to the wards. UZA has since received formal confirmation from the ANCC that the evaluators have unanimously agreed to recognise UZA as a Magnet hospital.